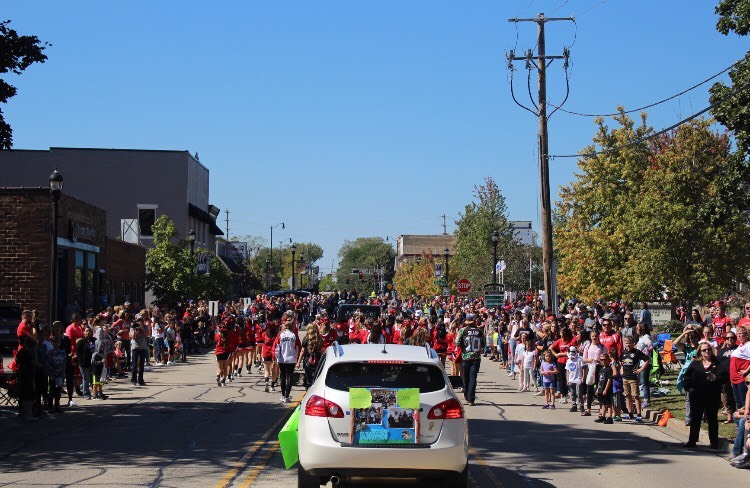 Main Street filled with Huntley families and students celebrating the start of homecoming. Past the tootsie rolls and bubble gum pieces laying on both sides of the street, parents and friends stood shoulder to shoulder, waving and yelling for their children and fellow students. 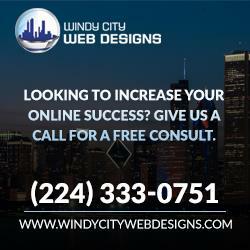 Through the crowds of people, Huntley high school teams, clubs, and bands took their place on the street. Music blared from each car as proud HHS students laughed and danced to the beat. The streets flowed with everyone from Zoology club to varsity volleyball. On Sunday, September 23 HHS kicked off homecoming week with their annual parade and pep rally in the downtown square. The event lasted from 11 a.m. to 1 p.m. and celebrated the school and town. All of the groups were in charge of creatively planning their own float. Each team and organization had spent the morning dotting red and black paint on their faces and taping balloons and streamers on their rides. 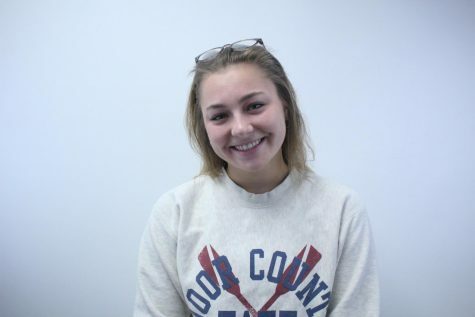 “I love getting to enjoy the day with my friends and see all the little kids and parents excited for all the different floats to pass by,” junior and swim team member Emma Bolas said. The dance, cheer, and orchesis teams had dances and moves prepared to flow the parade down Main Street. Both the middle school bands and the high school band kept the cadence of the groups moving forward. All Huntley sports were present and representing their teams by wearing their uniforms and holding signs and posters. The parade gave everyone in the community an opportunity to gather and celebrate all of Huntley’s achievements and memories to come.